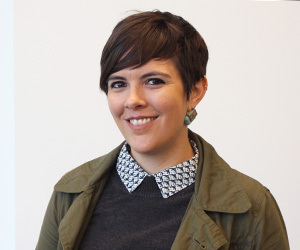 About: Kate Fortmueller teaches courses in media studies and media writing. Her research focuses on media industry studies with an emphasis on labor. Dr. Fortmueller’s work combines political economy, media industries studies, and cultural studies. Her research on actors and below the line talent utilizes both archival evidence and ethnographic methods to explore historical and contemporary issues for people working in film, television, and digital production. Her work appears in Television & New Media, Spectator, and is forthcoming in The Journal of Film and Video, and Film History. Below-the-Line Labor and Infrastructure in Hollywood Kate Fortmueller Society for Cinema and Media Studies, Seattle, WA, March 2019. Voice actors and video games in the age of convergence Kate Fortmueller Society for Cinema and Media Studies, Seattle, WA, March 2019. Dr. Fortmueller’s courses are designed to help students understand the relationship between media studies and media making while giving them a fuller understanding of media histories. Prior to teaching in Grady College, she taught in the University of Southern California’s School of Cinematic Arts and at Fairfield University.